At least it isn’t snow! But it is dark and dreary. 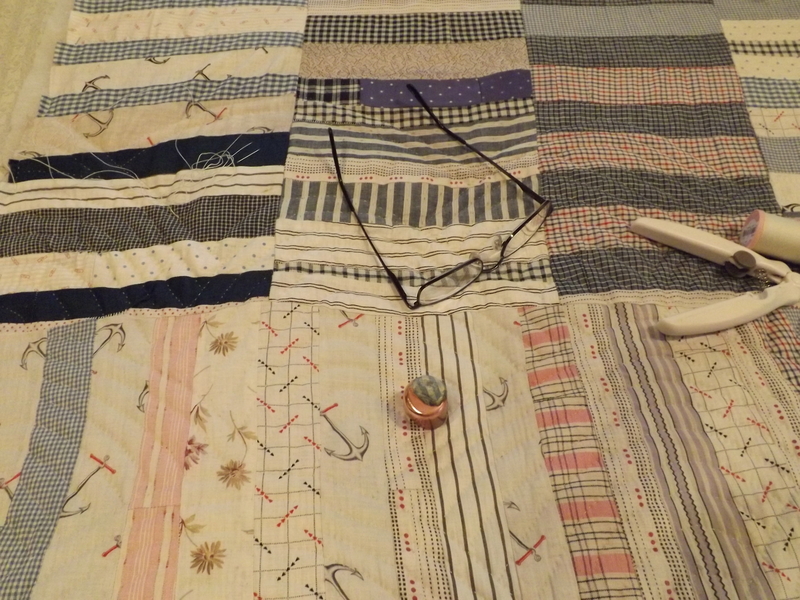 I have not spent a lot of time quilting. I have been re-writing my notes for tomorrows class. 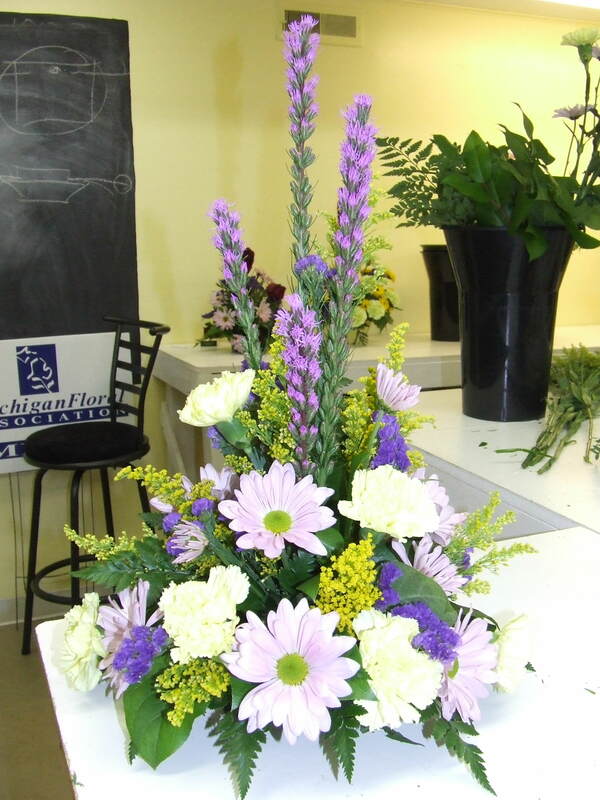 I will be teaching the principles of floral design and I am always looking for the best way to describe them. Last week we did a simple Triangle Design in a complimentary color harmony. 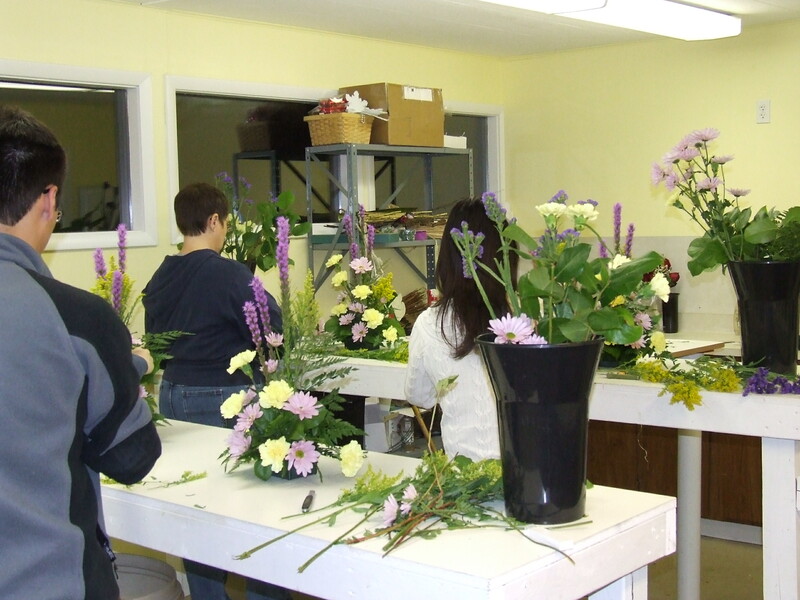 This week we will be making centerpieces. 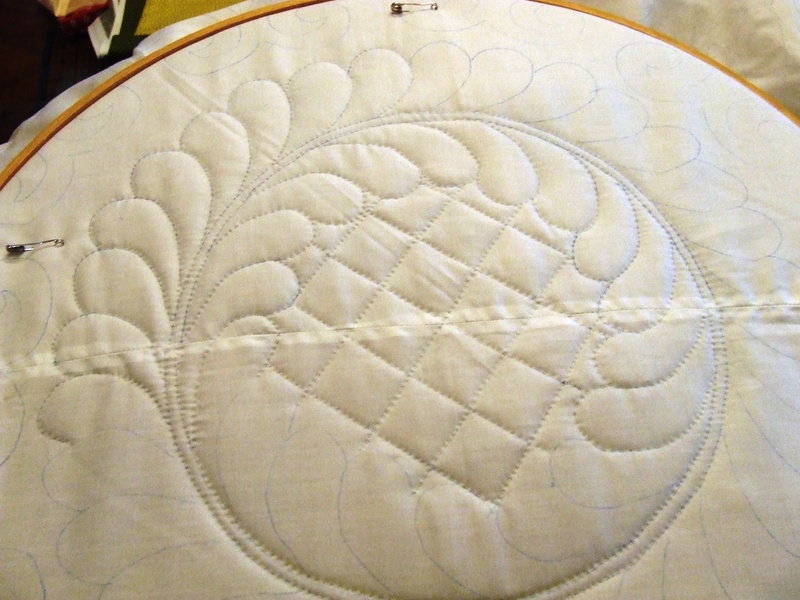 I did some quilting on the frame with the larger needle. Here is the #9 Bohin next to the #10 Roxanne that bends and the #11 john James that I use for whole cloth quilting. I thought you might like to see the thumble I use (thimble for the thumb). 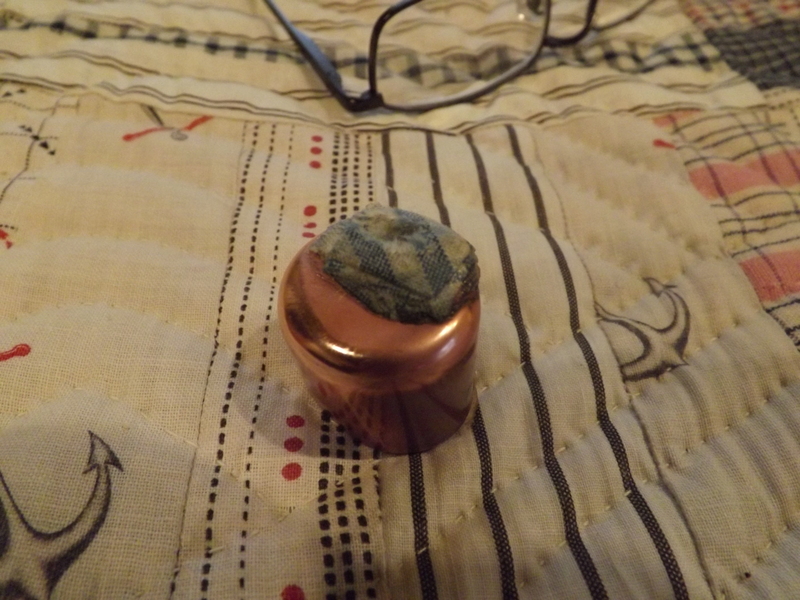 I used a copper pipe cap, bent it into a slightly flatter shape (more oval) and lined it with faux suede. 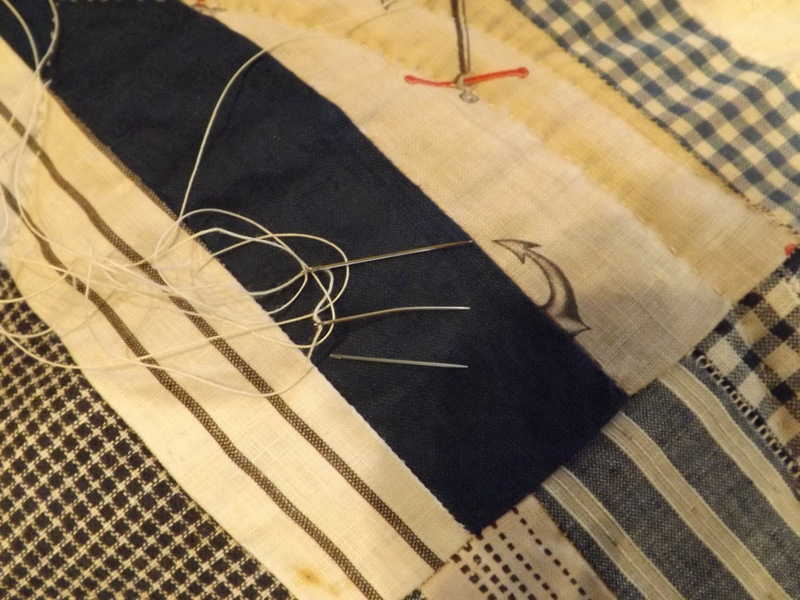 I glue a scrap of fabric to the top to keep the needle from slipping and I replace it or add a new layer every day. Teddy Hates the rain! he refuses to go outside and is in danger of exploding but has gotten used to sitting in a different chair to watch me quilt. 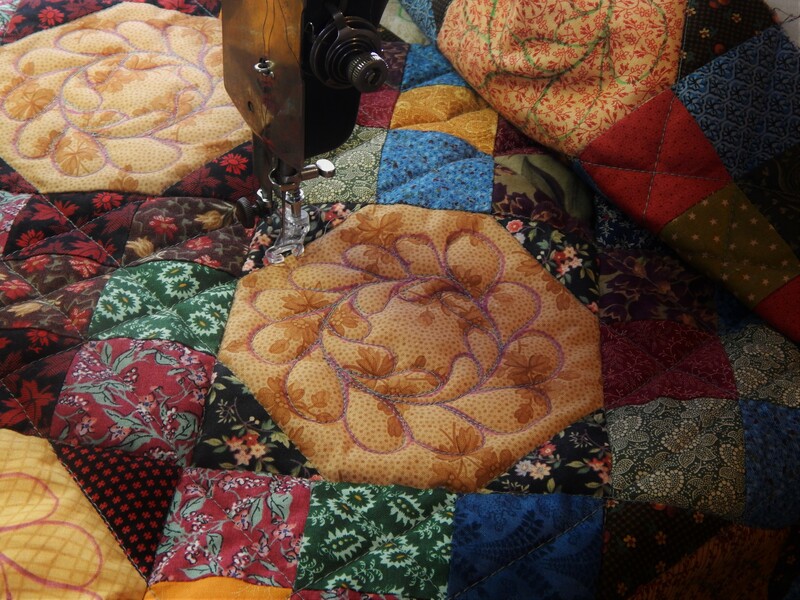 This entry was posted in Quilts and tagged complimentary color harmony, floral design, hand quilting, needle sizes, thimble. I would rather have snow than rain in the winter time – we are getting rain today and a nice balmy 65 degrees! that of course means severe storms later today I can hear thunder off a ways already. well here we rarely get enough snow to shovel! but on the other hand the rain comes down so hard I have rivers in the yard! I think we’re having the same weather — we’ve had so much rain that all the snow is now gone, but it’s a very grey, dreary day and the fog is getting thicker by the minute! 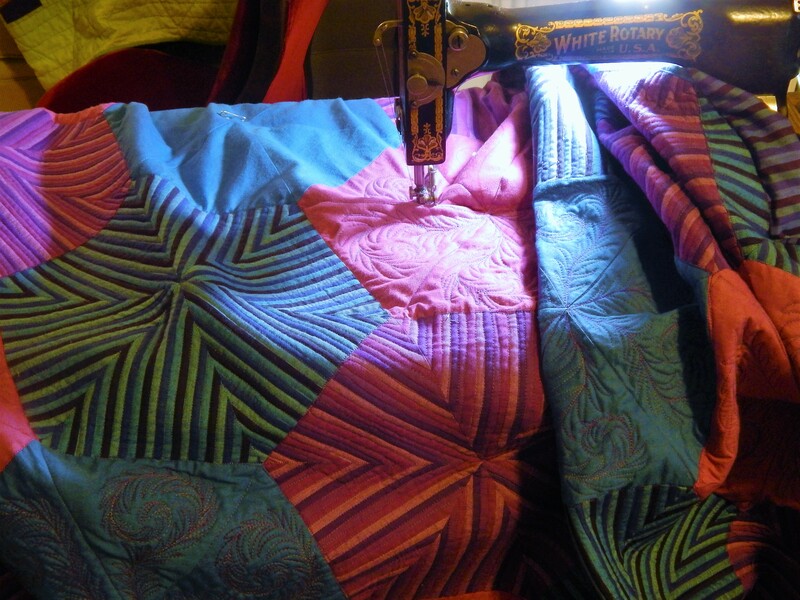 Great day to be indoors quilting! 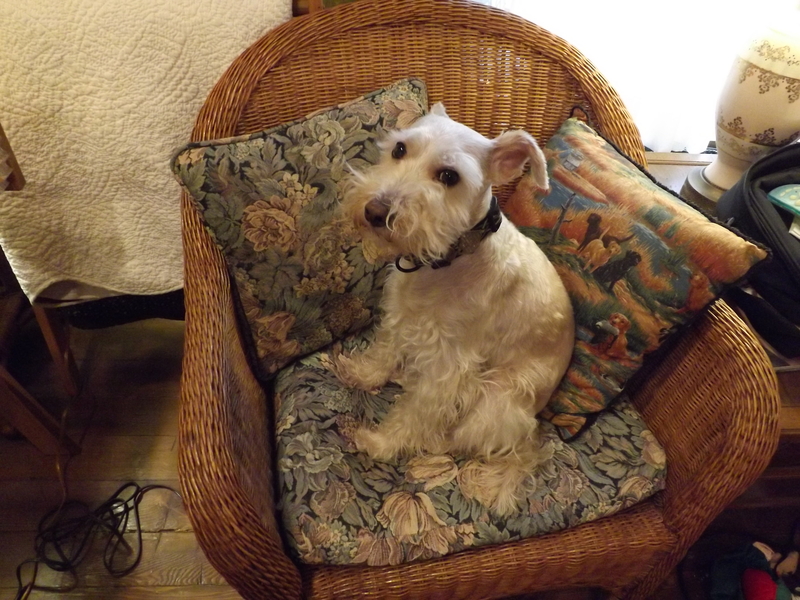 Our dogs hate the rain too, only if it gets too bad, they don’t explode, they sneak off in a corner somewhere and ….! So I have to put on my raincoat and rubber boots and walk them until they do their bizness. What a cute ad, I don’t remember it but I’m glad you shared it. This rain is very dreary- I’m wishing for snow to come back (sorry). The dogs LOVE snow! Our dogs felt the same way about rain when we lived in the lower Mainland (aka Vancouver). One January it rained 29 days in a row. The dogs would go to the door, all excited for a walk, take one look out the door and then go back to couch. It was depressing. At least Teddy has something to distract him :). there was a brief stop in the rain this evening and he had a nice walk….and he is feeling much better! very clever thimble! 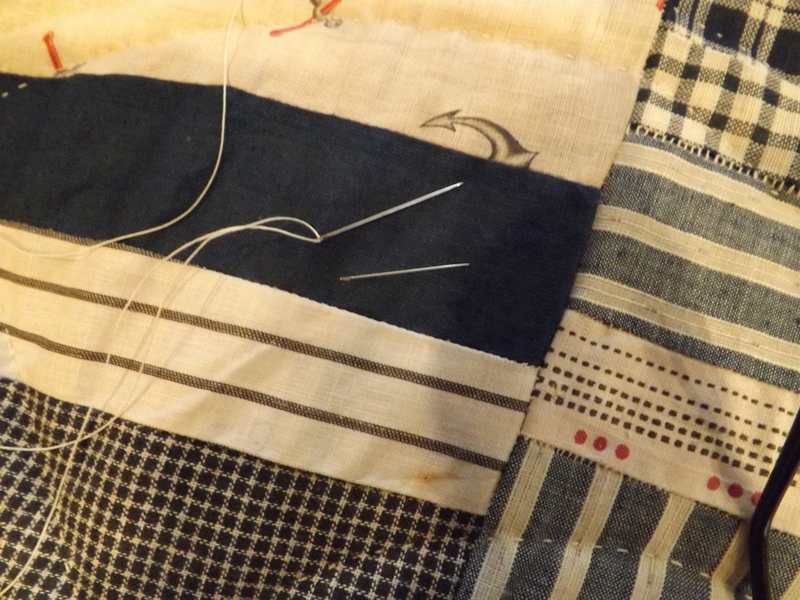 took me a while to find the right needle to use for applique and hand quilting that didn’t bend for me. 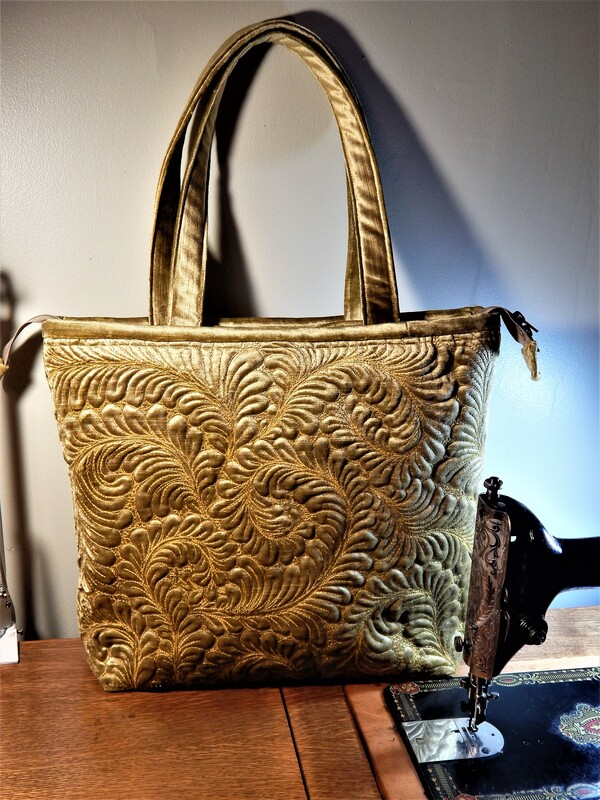 I think it has to do with how we all use different pressures to applique and quilt.